You’re probably wondering where I’ve been hiding. 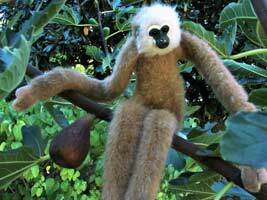 Actually, up a fig tree. That’s me, taking a break from grinding ink. 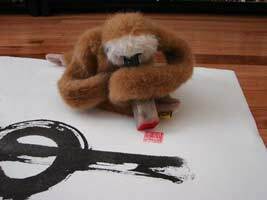 You see, the ancient Chinese scholars had pet monkeys to grind their ink and turn their pages. That’s my training, and Sherrie is very lucky to have found me. I do lots of other things, too, that Sherrie claims to do, but that’s okay. I’m here to help and to tell you about these wonderful prints that Sherrie designs and sells here.